BMW India has launched the new generation BMW X4 coupe-SUV in India at a starting price of Rs 60.6 lakh, ex-showroom India. This is for the BMW X4 xDrive20d M Sport X. Two other engine options are available, the BMW X4 xDrive30d M Sport X priced at Rs 65.9 lakh and the BMW X4 xDrive30i M Sport X at Rs 63.5 lakh. The 3.0-litre six-cylinder turbocharged diesel engine in the X4 xDrive30d produces 265 PS and 620 Nm. The car accelerates from 0 -100 km / hr in 6.0s. The 2.0 litre four cylinder diesel engine of the xDrive20d makes 190PS/400 Nm, standstill to 100 kmph come up in 8.0s. The xDrive30i gets a 2.0-litre four-cylinder turbo petrol of 252PS and 350 Nm outputs. This car gets from 0 to 100 kmph in 6.3s. All engines are mated to an eight-speed ZF automatic and BMW's xDrive all-wheel drive is standard. There is adaptive suspension and four driving modes, EcoPro, Comfort, Sport and Sport Plus. There is also 50:50 weight distribution, and six airbags and other systems normally available in this segment like traction control, hill descent and so on. 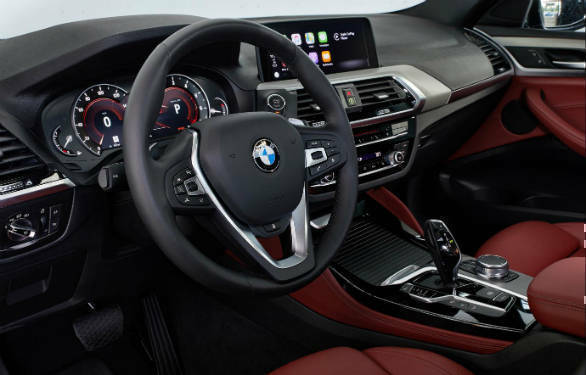 Notable features are the digital instrument cluster, a 10.25 inch iDrive infotainment screen, head-up display, 16 speaker Harman-Kardon system, wireless Apple Carplay, BMW display key. There is also gesture control, wireless charging and a parking assistant. A panoramic sun roof and powered tailgate are other amenities. 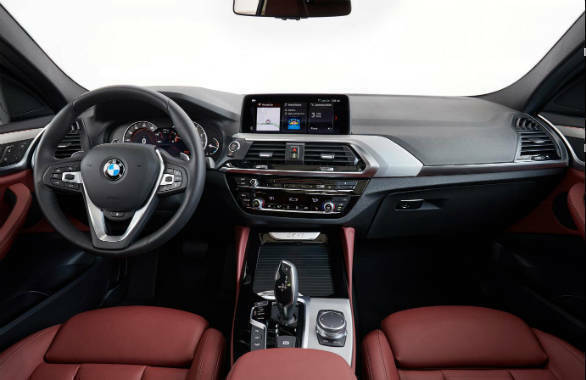 The X3 and X4 are both based on the BMW Cluster Architecture (CLAR) platform and hence have much in common. The exterior of the BMW X4 also takes design cues from the X3. The front is very similar to the more upright car but the front bumper is more aggressive with wider air intakes. The roofline is highly raked after the B-pillar and falls sharply into the boot. The car, in general, looks like a shrunken X6 and is very similar in profile. The rear design is unique and has wide LED taillamps which run into the boot lid. While the X4 shares its wheelbase with the X3, it is 44mm longer, 27mm wider and 55mm lower. The BMW X4 sold in India will be available with the M Sport X package. This brings air intakes, side skirts, wheel arch trim and rear apron with diffuser finished in Frozen Gray. 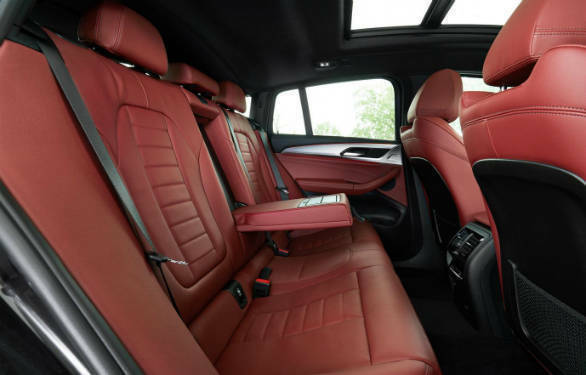 There are 19 inch M Sport alloy wheels, multifunction M leather steering wheel, illuminated M door sill finishers and blue M Sport brake callipers. The BMW X4 SUV will compete with the Mercedes-Benz GLC and the Range Rover Evoque. 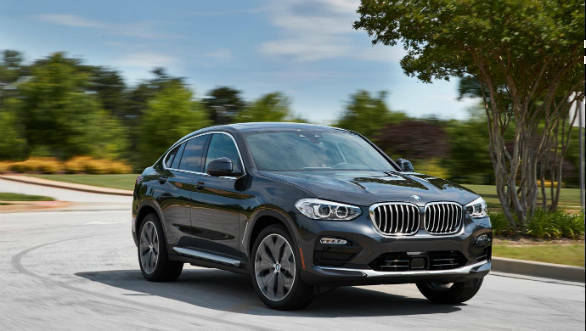 While coupe SUVs can be criticized for the compromised practicality not being compensated for with better driving dynamics than straightforward SUVs, the imposing design makes them very popular among car buyers. 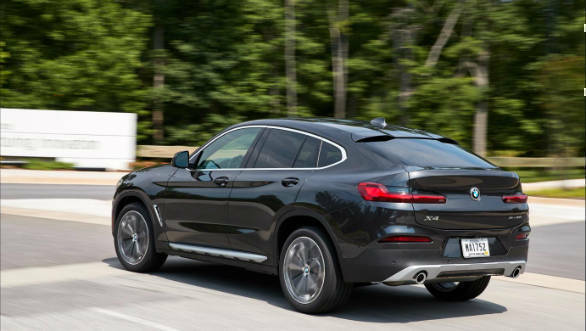 The new X4 will likely continue with this trend.